Sitting in her front room, with a group of like-minded friends, Lady Unchained and her friends would have debates and discussions about the problems they faced around everything, and write about how they made them feel. This inspired her to set up Unchained Poetry, a platform for artists with experience of the criminal justice system. In 2016, Lady Unchained won an open mic competition and received a prize of £500. She used this money to help fund a trip to Uganda, where she visited inmates in two separate prisons talking to them about their experience of prison in Africa. She documented all of her experiences and she is now working on producing a short film about the trip. Lady Unchained has worked with a number of charities including Body and Soul Charity, Working Chance and Safe Ground. 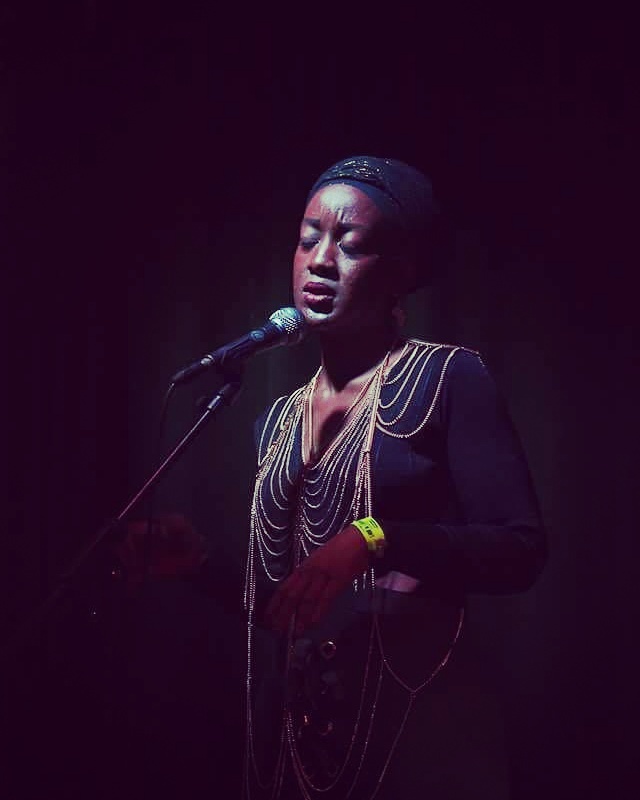 She now hosts Unchained Nights in partnership with Artsadmin at Toybee Stations, a night of inspirational storytelling, through poetry and music, performed by artists with lived experience of the justice system. She also co-hosts for National Prison Radio’s show We Are StraightLine, a show about Getting out of prison and Staying out of prison. Lady Unchained’s mission is to prove that there is life after prison. Through poetry she tells her own personal story and the untold stories that are often left untold, because of shame or labels. She’ll be performing a selection of her poems at Being the Story.